Author Interviews, Guest Posts, Book Giveaways & Books, Books, Books! 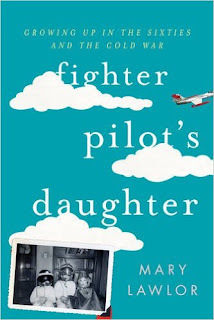 FIGHTER PILOT’S DAUGHTER: GROWING UP IN THE SIXTIES AND THE COLD WAR tells the story of the author as a young woman coming of age in an Irish Catholic, military family during the Cold War. Her father, an aviator in the Marines and later the Army, was transferred more than a dozen times to posts from Miami to California and Germany as the government's Cold War policies demanded. For the pilot’s wife and daughters, each move meant a complete upheaval of ordinary The car was sold, bank accounts closed, and of course one school after another was left behind. Friends and later boyfriends lined up in memory as a series of temporary attachments. The book describes the dramas of this traveling household during the middle years of the Cold War. In the process, FIGHTER PILOT’S DAUGHTER shows how the larger turmoil of American foreign policy and the effects of Cold War politics permeated the domestic universe. The climactic moment of the story takes place in the spring of 1968, when the author’s father was stationed in Vietnam and she was attending college in Paris. Having left the family’s quarters in Heidelberg, Germany the previous fall, she was still an ingénue; but her strict upbringing had not gone deep enough to keep her anchored to her parents’ world. When the May riots broke out in the Latin quarter, she attached myself to the student leftists and American draft resisters who were throwing cobblestones at the French police. Getting word of her activities via a Red Cross telegram delivered on the airfield in Da Nang, Vietnam, her father came to Paris to find her. The book narrates their dramatically contentious meeting and return to the American military community of Heidelberg. The book concludes many years later, as the Cold War came to a close. After decades of tension that made communication all but impossible, the author and her father reunited. As the chill subsided in the world at large, so it did in the relationship between the pilot and his daughter. When he died a few years later, the hard edge between them, like the Cold War stand-off, had become a distant memory. With the Marine Corps and later the Army, my family moved so many times that I grew up without any sense of place. Both of my parents grew up in New Jersey, but my own attachment to that state was slim and tenuous. We visited our cousins now and then—not even once each year. Shifting from the northeast to the deep south to California and then Germany—and many places in between—made it difficult for my sisters and me to find models for how to talk, how to look, how to walk, what to think. How to see ourselves. I wanted to go back through the memories of places like Dothan, Alabama and Opa-locka, Florida, try to see them again—what they smelled and looked like—and feel again what it was like to be there. And I wanted to feel again what it was like to leave after, say, two years. We would just start getting used to the ways other kids talked, to peculiar words they used; and we’d just start getting close enough to other girls to be almost friends with them when it would be time to leave. So any familiarity with people or ways of living that my sisters and I started to develop, any developing sense of who we were or who we might become, would go out the window. We’d have to start over again in a new place. I also wanted to make sense of what the moving meant for my mother, as she tried to create a healthy, stable household. What were her feelings about her own life when she herself was constantly being treated like a stranger, never belonging to any community? And I wanted to understand the causes and consequences of the explosions—my mother’s and later my own—that nearly ripped our family apart. Memoir seemed the best and really the only choice for me. I suppose I could’ve made the story into a novel, but I needed to have more direct contact with the powerful feelings that were still unsettled in me, even after the years of being a military daughter were long over. Fighter Pilot’s Daughter tries to show readers what military kids go through. One message I really want to convey in this is that while the kind of upbringing I’ve been describing can make you strong in certain ways, and while moving so much means you get to see and live in very interesting, diverse places, it’s very difficult to grow up in the military. I hope readers will take a better understanding of this from the book. I used to tell people I grew up in an Army family, and they would often say ask Was it like “The Great Santini”? It’s strange how many people think this. The answer is no. Santini was an abusive father, and while many military Dads work with violence on a regular basis, they don’t necessarily bring it home. Pat Conroy tells a great story, but he says himself that it’s his story, not a representative one of military family life. Since his is one of the few narratives in circulation that features a Marine Corps pilot and his dependents as characters, it gets taken as a model of military families in general. I hope readers of Fighter Pilot’s Daughter see that Santini’s isn’t the only story; that there are other experiences to tell. 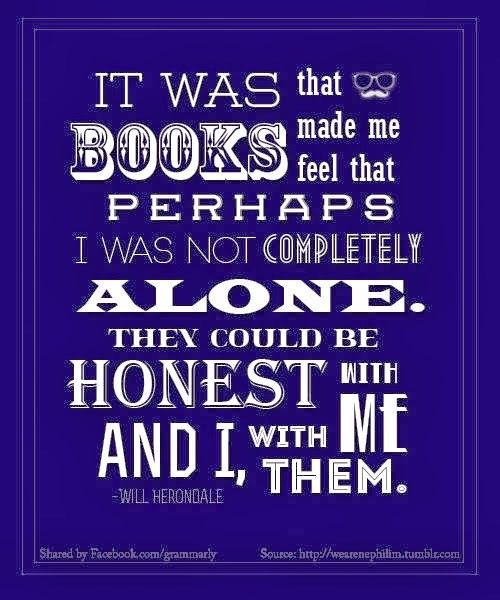 Who influenced you to write your book? My students at Muhlenberg College were an important influence on my decision to write the book. Several colleagues and friends encouraged me to write it too. But perhaps most of all the many military kids who are still trying to grow up and make sense of their complicated lives. I really wrote the book for them. 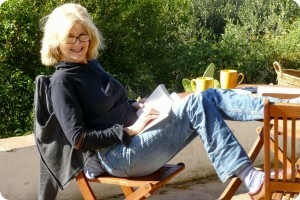 Is it hard to publish a nonfiction book? I think it’s actually more difficult to publish fiction these days, especially if it’s your first book or you don’t have a big reputation. Which author(s) do you admire? Among contemporary writers, I like Colm Tóibín, Don DeLillo, Leslie Marmon Silko, Louise Erdrich, Thomas Pynchon, Bathsheba Monk, and David Mitchell. I also love Henry James, Edith Wharton, Willa Cather, Frank Norris, and Virginia Woolf. If I have a hard time getting moving I usually put some ear buds on and listen to music I like a lot. It doesn’t matter if the songs have lyrics. The rhythm and sounds do something in my brain that loosens up the writing. I like Thanksgiving best, mostly because it’s a time for gratitude. There’s no anxiety about presents or costumes or even religious matters, really. 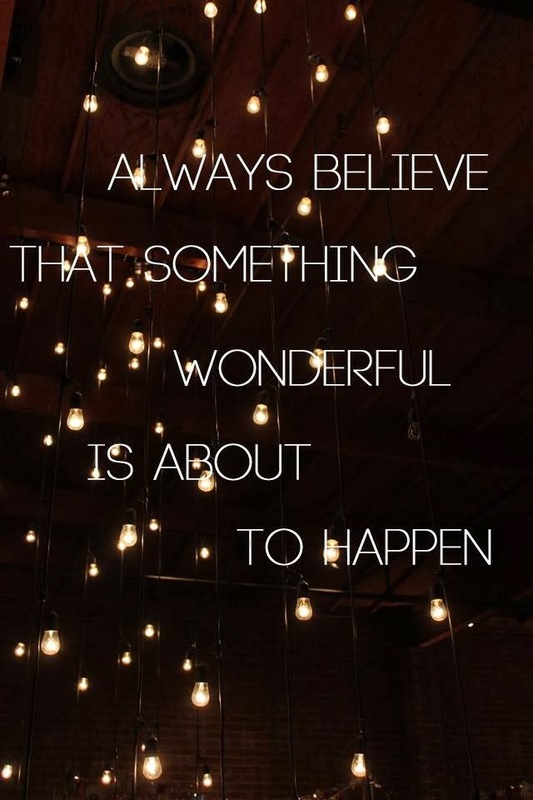 It’s about being thankful for all the good life offers, and I’m happy to have the chance to think about that. To a small café-restaurant in the village where I spend half the year (Gaucin, Spain). The café is in the center of the village, but it’s usually quiet there. The room is comfortable and relaxing, and you can get really good coffee. I like to hike and swim. When we’re in Spain I love to climb the mountain where our house is located. It’s right behind us and takes about twenty minutes to climb. Once you’re at the top, you see views in every direction. It’s beautiful, and the air’s fresh. I never see anybody else up there. I also like to listen to music and go to jazz concerts in New York, Madrid, or anywhere I can. I’m married to a man who’s a professor of English, like me. We have a daughter who studied at Parson’s School of Design in New York City. My sisters live in Virginia and South Carolina, so I don’t get to see them as often as I like; but we are very, very close. I like the way writing helps shape reality as well as reflect it. I also like being able to use the English language well and to try to design sentences so they’re a bit experimental but not so much that readers have trouble understanding. What kind of advice would you give other non-fiction authors? I’d say don’t worry too much about trying to get at the minute, details of the non-fictional matters you’re writing about. Let your feelings about them and your impressions—you don’t have to be obsessed with having only the facts all the time—come forth and land on the page. We are not currently accepting review requests at this time until we finish reading the books we have now. We will post the date when review requests will open next spring. We are currently accepting author interviews. Click on tab in navigation bar to submit your interview. Many books reviewed on this blog were received free of charge from the author or the publisher in exchange for an honest review. All opinions expressed are entirely our own and are not influenced by any relationship with the author or publisher.